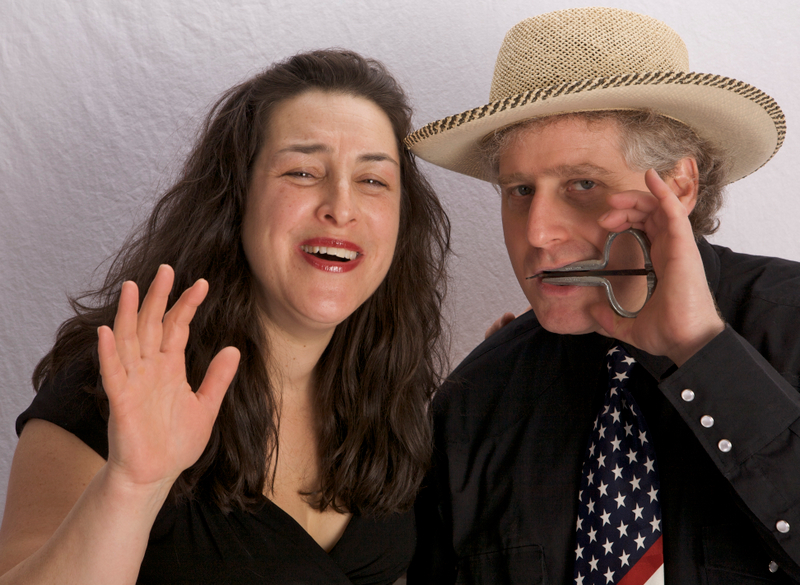 Lisa Mayer and her husband, Sruli, teach Klezmer and Hasidic music and dance all over the country. 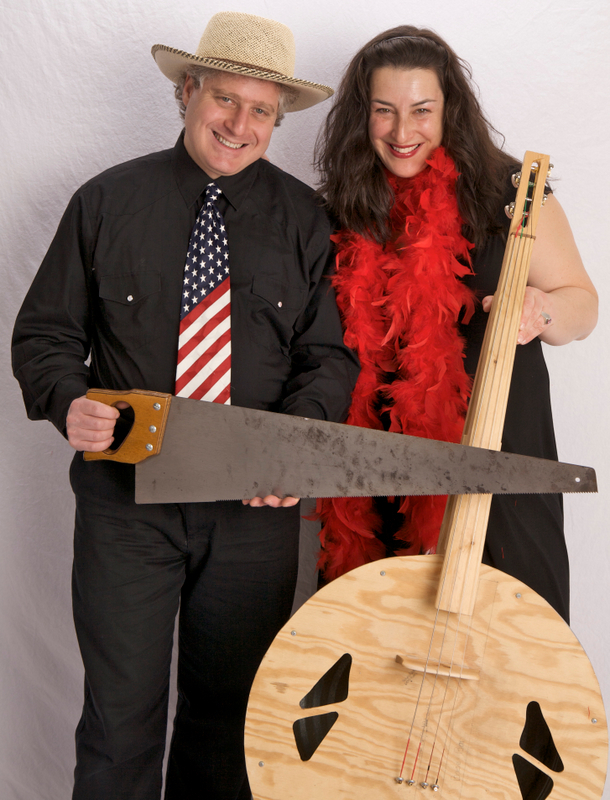 In one life, Lisa Mayer and her husband, Sruli Dresdner, dress in all black and play Jewish folk music at Bar and Bat Mitzvahs and weddings. In another life, they are Hoot ‘n Annie, an American folk music duo donning red, white, and blue bandanas. And in yet another life, they are the proud parents of 2-½-year-old twins and run a Wacky Instrument Workshop and summer day camp called The Clubhouse Camp in Manhattan. How did you meet Sruli? Through music. I moved into a new neighborhood, and I heard this guy playing clarinet. I told him that I played violin, and he told me to go get it. And there it was – 15 years later, we have a band and a family. How did your career in music take off? Sruli and I both loved music and decided to start a little Klezmer band, so we started playing for our synagogue in Scarsdale, NY. The next thing we knew, we started getting calls to play at parties, festivals, and concerts, and then we put a children’s album together. Sruli and Lisa's aspiring musician twins, Johnny Xylo and Charlie Re. Do you have children of your own? Sruli and I each had two children from our previous marriages. We formed a family band in the last 15 years and play at weddings and Bar and Bat Mitzvahs all over the country – and the world. Recently, we packed up a big van with our kids, all our equipment, and our dogs, and drove to New Orleans for a concert. Sruli and I also have twins – 2 ½ year-olds – who have already indicated they want to play the violin, trumpet, and banjo. You also play American folk music. Sruli and I have another life where we call ourselves Hoot ‘n Annie and perform at lots of schools. For those shows, we have an Americana theme; I wear a red, white, and blue boa, and we both wear red bandanas. Do you come from a musical background? My family goes back to being rabbis and cantors for three generations. Sruli has a scholarly background in Jewish music and also comes from a musical family. Your lifestyle must have changed when you made the transition. Musicians without day jobs have to get good, fast – there is no net. Within the first two weeks of leaving my advertising job, I started playing better. Combined, how many instruments do you and Sruli play? 17. A musical saw, also called a singing saw, is the application of a hand saw as a musical instrument. Weird instrument scale: It ranges from accordion and drums (which Sruli plays simultaneously during the Hora dance), to the ukulele and washtub cello, to the sheepdog whistle and banjo. Then there’s the cookier stuff, like the musical saw, which is like a bow that you hold between your knees. It’s a little spooky-sounding. 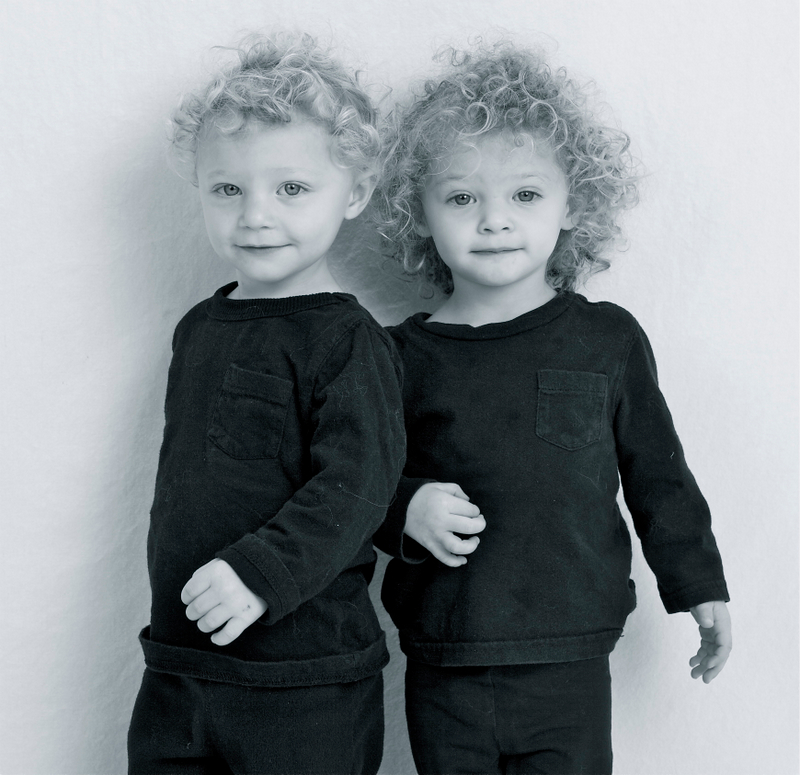 Between all your shows and looking after your twins – how do you stay energized? Lindt dark chocolate with sea salt. For Sruli, it’s those little pigs in a blanket they serve at gigs. [Laughs.] But we also both work out – we have to be in shape for our jobs. And we’re naturally energetic people. Best advice about working with your husband: You need to put things in boxes and separate work time, romantic time, and family time. Weirdest thing you’ve seen during a performance: At a very elaborate Bar Mitzvah in Long Island, the kid rode in on a camel while Sruli blew the shofar and I played violin. Then he jumped off the camel into a pool. Most meaningful compliment: When the family of the Bat Mitzvah says that you’ve made this the best day of their lives. Or after a concert, when someone says that you’ve brought them back to their childhood at their grandma’s house. We frequently get invited out after shows because we schmooze and connect with the audience. When you’re not working: I lead and teach lots of Jewish dancing. On your bucket list: Sruli and I want to start a Wacky Instrument Festival in New York. It’s also Sruli’s dream to rent a Winnebago and tour the country with the Hoot ‘n Annie Family Band. Lisa Mayer sounds off about choosing music as a career path. 1. As an artist, constantly watch other performers – attend the opera and go to concerts. But keep your day job; you have to be crazy to do this full-time. 2. Pep yourself up and believe that what you’re doing is important and worthy. To do that, you have to be a little self-stroking. Nobody else is going to do that for you. 3. Don’t choose this career unless it’s the only thing you want to do – or that you can do. It’s a tough job, and you don’t always make it. You must be prepared for a different lifestyle, one where material things aren’t as important. That said, if you’re going to do this, jump in and don’t look back. There’s nothing more thrilling than performing for an audience. Sing and dance along with Sruli and Lisa at sruliandlisa.com or hootnannie.us. All photos courtesy of Sruli Dresdner. PLUS: For more musical No Joe Schmos, check out the die-hard dancer who keeps Meryl Streep on her toes and the opera singer who compares singing to a hot fudge sundae. This entry was posted in Cool jobs and tagged american folk music, family band, hoot 'n annie, klezmer music, sruli and lisa by Megan Hess. Bookmark the permalink.